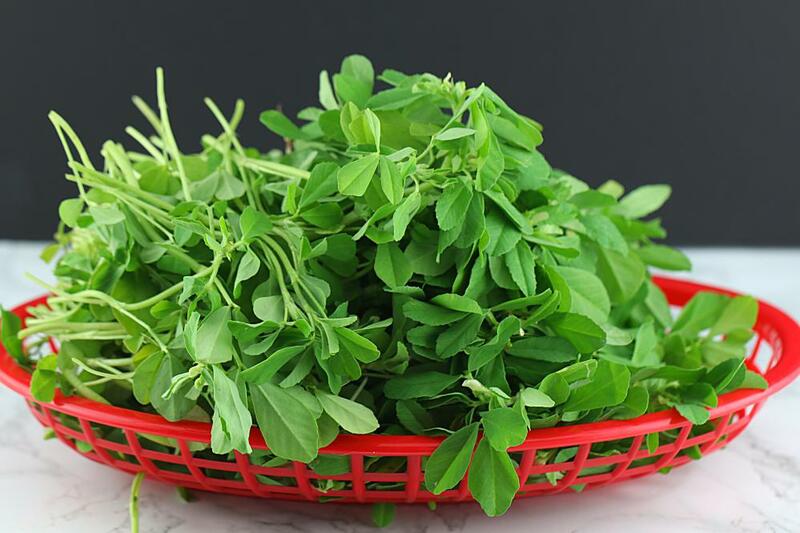 Fenugreek is an annual herb with light green leaves and small white flowers. It’s from the pea family. Fenugreek has a long history as both; a Culinary and Medicinal herb in the Ancient World. Known as Methi in Hindi. Fenugreek is a common condiment and ingredient in spice powders in Indian cuisine. Fenugreek seeds have a somewhat bitter taste, similar to Celery, maple syrup or burnt sugar, and are often used to make medicine. However, it has a far more pleasant taste when cooked and used in daily diet. Fenugreek or Methi has some amazing health benefits that could transform your health and change your life for the better. How Fenugreek has health Benefits? Fenugreek is a leafy green legume native to Eurasia and Africa that is widely used for its nutritional and aromatic value. For centuries, it has been used in traditional medicinal remedies in Africa and Asia to ease labor, alleviate digestive problems, and treat skin conditions such as boils, eczema, and Inflammation. These days, it’s often consumed as a supplement one can buy either Online or from local stores. Adding bitter fenugreek seeds in diet is really beneficial for health. If we look at the number of ailments, fenugreek is believed to cure. “Fenugreek or Methi Seeds imparts many health benefits. Fenugreek seeds have natural fibers, which can swell and fill the stomach, consequently smothering appetite and help to loose weight. Another technique for weight reduction is drinking a glass of methi water in the morning. The water is prepared by soaking Only one tablespoon of the seeds in one Glass of water for entire night and next day drink it in the morning. This water is exceptionally useful in prevention of water retention in the body as well as bloating. My husband used to drink this water for almost two months and I’ve seen good improvements in his health. It is a very Ancient Spice that is used for flavoring various dishes. These leaves are bitter in taste. When added to any recipe, they will increase the aroma of that dish and tastes so good. In addition to taste, it has numerous nutritional values as well. Fenugreek leaves is a Natural herb that works as a Nutritional Supplement. I use Methi leaves a lot for Missi Roti doug, Methi Bhurji, Pakoras and to garnish my all dishes. This leaf is highly beneficial for treating poor liver functions and dyspepsia. It is also helpful in treating gastric problems and other intestinal issues. It is also used for curing dysentery and diarrhea. These leaves are also used to treat Skin Problems due to it’s bitter taste. Fenugreek leaf has an incredibly strong effect on blood lipid levels; it may also prove helpful in lowering atherosclerosis. Patients suffering from lipid fluctuations benefit hugely from this amazing herb; the reason behind this is its capacity to cut down cholesterol levels, LDL and triglycerides while pulling up their HDL levels. This herb may help with numerous digestive problems, such as upset stomach, 👍 of the stomach. For instance, the water-soluble fiber in fenugreek, among other foods, helps relieve constipation. In addition to lowering internal inflammation, fenugreek is sometimes warmed and used externally as a poultice. This reduces external inflammation and can treat. In foods, fenugreek is often included as an ingredient in spice blends.